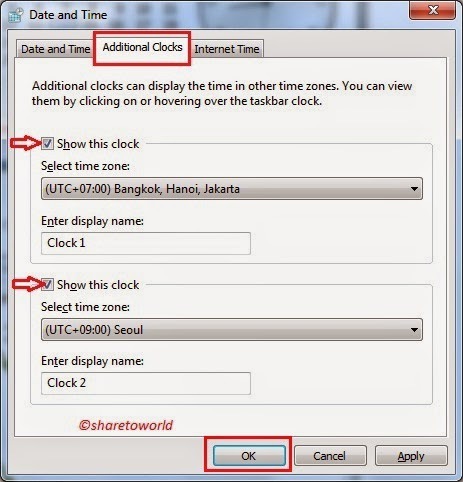 Normally in Windows 7, Windows 8, and Windows 8.1 have only one clock to show our Time Zone in the Taskbar but if you want to know other Time Zone you need to calculate by adding the different Time Zone (e.g. +1, +2 or ....). 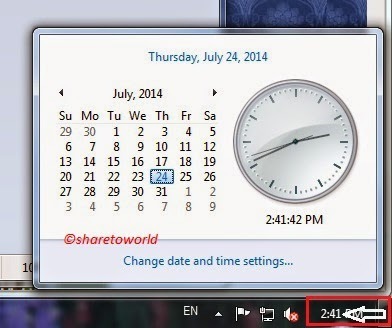 Now we will show you how to add one more clock in Windows 7, Windows 8, and Windows 8.1. 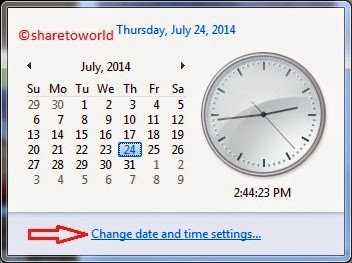 3- Go to Additional Clocks then Check on the Box of Show this clock (Clock 1 & Clock 2). 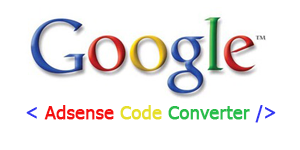 Don't forget to share this awesome tip to your friends by clicking sharing buttons below.